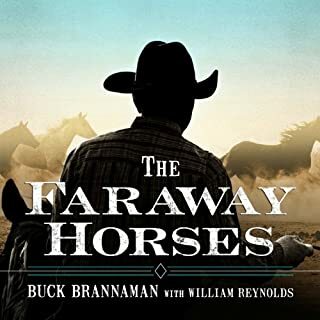 AudioFile Earphones Award-winning narrator Mike Chamberlain's low-key and down-to-earth performance beautifully complements the friendly, helpful tone of this guide on how to build trusting relationships between riders and horses. 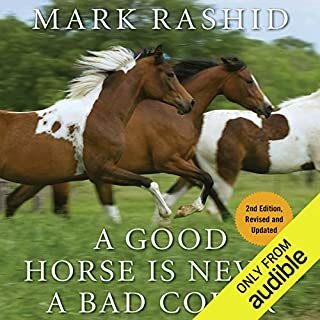 This audiobook focuses on the idea that horses use their behavior to express their thoughts, and it explains how a rider can learn to read what horses are saying. Important topics such as turning rider/trainer mistakes into positive experiences and developing realistic boundaries are also covered. Listeners will feel as though they are being personally instructed by a dependable and patient trainer. How we perceive that information dictates how we respond to it. Whole Heart, Whole Horse focuses on this idea, covering such subjects as gathering information from the horse, turning rider/trainer mistakes into positive experiences, developing realistic boundaries between you and your horse, understanding how and why horses release energy from real or perceived traumas, and reaching a comfortable balance point between horse and rider. 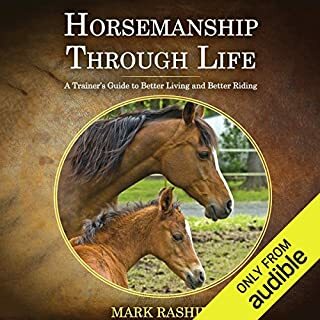 Rashid analyzes developing softness, consistency, dependability, trust, and peace of mind in both horses and humans, as well as how to become a leader whom your horse will willingly want to follow and work with. Full of examples that extend beyond the training pen, Whole Heart, Whole Horse offers good sense and information that will make you a more astute, capable, and sensitive horseman and person. ©2009 Mark Rashid (P)2012 Audible, Inc.
All of the books I've listened to by Mark Rashid have given me an "ah ha" moment. This book is full of situations that motivate me to get out there every day and be patient with my horse. In particular, this book has given me great insight about the critical importance of direction. so I will be planning what to do with my horse before I go out there. Not to mention develop that softness and giving my horse my whole heart. I am new to horses. This year I took a good fall and broken my back in a couple of places. Dur no that recovery I felt I needed to learn more about horsemanship. I feel it serendipitous that I discovered Mark.ive now read all of his books and will likely just start them over. I've seen a great change in myself and my horse in under three months, without me even being able to ride. I consider him and his thought process before every action. I do not have enough kind words for all of marks books! 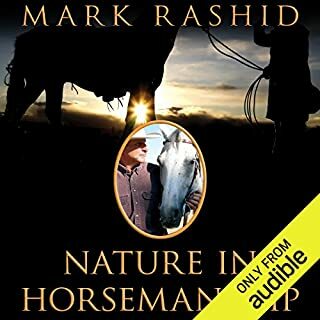 of the brutality of Anderson, the commercialization and fakeries of Parelli and Roberts, and the ever inflating ego of Hempfling (who used to be the absolute best horse trainer anywhere, and maybe still is, despite his growing pompousness in age), Mark Rashid comes like a breath of fresh air. A true natural-horseman who manages to transcend the snake-oil instant cure mentality seen in so many clinics and workshops, Rashid gives an holistic approach that can be--and must be--shaped to each individual horse by each individual human. Rashid understands the most important truth: horse time is timeless, and anything with a horse takes as long as it takes--with gentle but firm leadership, care and compassion, and a deep understanding of the horse. A book well worth your time! Rashid's approach is so authentic and genuine. I appreciate his humble manner and the way he stops to question the root of an issue rather than simply applying a familiar solution. He really stands out as a fresh thinking clinician with respectful regard for each horse an an individual. He is consistent in his approach yet open to change when necessary. What was one of the most memorable moments of Whole Heart, Whole Horse? The story of "the Black" which underscored the title and core message of the book. Loved this audio book, great narration! Moved to tears of joy and gratitude. Thank you, Mr. Rashid! Where does Whole Heart, Whole Horse rank among all the audiobooks you’ve listened to so far? This book really helped my heart and my head find a path towards a close partnership with my current horse and both of us greatly appreciate it. Must listen to for horse owners. Best horse to human book ever! What did you love best about Whole Heart, Whole Horse? I Having to rewind the clock to re-listen to all the great things Mark Rashid was saying. If you want to learn how to read horses this book is for you. The first story about when a horse nudges u with her head. It made me a better new horse owner. I learned not to blame yourself for mistakes they are learning experiences. Trainers are Observers, who've observed enough to know where they can make a little change here, a little change there, and make an animal or human's life better. In this book Mark Rashid teaches through very good story telling. I learned new ways to look at my horses, hopefully to better understand them. This audiobook was reluctantly turned off when I had to, and I couldn't wait to get back to it. I finished it in one day. When it was done (all too quickly) I had a good feeling, like when you've had a great conversation with a friend. It is inspiring too. 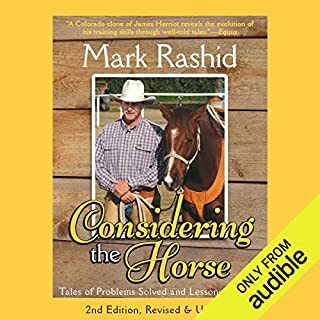 Mark Rashid tells his horse and human stories with a non-judgmental observer's eye, with an undertone of compassion at times, and sometimes humor. A few trainers have an undertone of disgust with people after years of trying to fix the damage done to horses by clueless humans. I didn't pick up a smidgen of this judgmental tone from Mark Rashid's book. The narration was done by Mike Chamberlain with a friendly voice and great timing. I highly recommend this book. Even for people who don't have horses, but who just enjoy a good book. But, for horse people, this one's a positive learning experience. And fun . . . and it will touch your heart . . . you'll see. 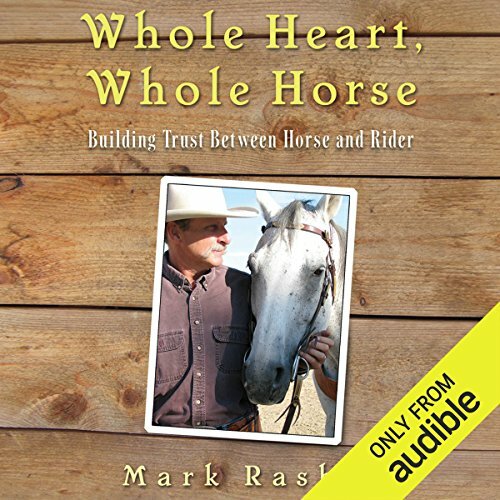 Would you consider the audio edition of Whole Heart, Whole Horse to be better than the print version? It's about time somebody said what the horse needs, not jsut how to make them do what you want them to do. This is how to have a relationship with a horse, to understand why they need what they need and what they need on their side of the relationship. It's great. What other book might you compare Whole Heart, Whole Horse to and why? "Snowman" reminded me of this book. Horses will tell us what they need and who they are, if we stop, shut up, and listen to what they're saying, by what they do. They tell the truth and that catches a human off guard. They mean it when they say it. There needs to be more shut up and listen with horses, maybe then even people who don't want to ride a horse will want the amazing relationship they have to offer, even if you never get on their backs. There is nothing like a horse and what's more amazing is the gift of seeing what we could be, if we were more like them. Sometimes the best thing you can do for the mental stability of a horse is to let them run, not make them run, let them run. That horses are natural followers and will follow a leader, if they can trust their leader. Trust is the greatest gift a horse has to offer. Being trustworthy is the best gift we have to give back, and to learn we possess. When the black showed up. Just wonderful and yet another great book I am grateful to have had the privilege of listening too. Thank you Mark for putting your experience on paper to share your heartfelt work and journey, so it can reach so many others so far from where you live. The last chapter had me in tears. What did you like most about Whole Heart, Whole Horse? 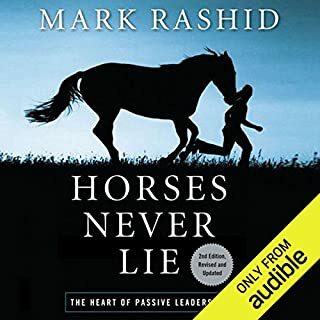 As per some of Mark Rashid's other books, his wisdom, perspective and passion for his work with horses (and their humans!) shines through! The pace of this book was great, the stories were interesting and you can pick up lots of interesting wee snippets, although this isn't strictly a tuition book! The narration was well paced and Mike Chamberlain's voice was warm, expressive and accentuated every nuance of each story. Definitely recommended for horse lovers and those looking to learn about a more compassionate way with horses. I'd already read another 3 books by Mark Rashid and thoroughly enjoyed them all but this was the best one ever. Ive been having a little difficulty with my own journey of late and it felt like this book was written for me! There is an old zen saying that when the pupil is ready, the teacher shows up. I can't praise this book enough - it has led to a real turning point for me. fantastic as all Mark Rashid's books are. the master horseman and philosopher gives engaging examples and stories to back up each message. thought provoking and inspiring.